You are here: Home / Total Wellness Challenge / Another Challenge! Today I restarted the Fall Total Wellness Challenge. The program actually began last week on Monday, but with moving my daughter into college, road-tripping back and settling into life as an “Empty Nester,” I haven’t been ready to focus on planning and preparing meals, cooking and tracking my diet. Managing nutrition takes a lot of planning, time and focus! Despite my intention after the Spring TWC to continue to blog about and focus on the TWC guidelines, I lost control a bit this summer. I had a really good time, but I gained a few pounds and don’t feel comfortable with myself right now. I would like to lose 5 pounds. I have discovered that for me, it is easier to be dedicated to the nutrition component of the Total Wellness Challenge when I commit to all around focus and have the time, interest and motivation to plan and be organized. So I planned the next week of dinner recipes, went shopping and did a little bit of meal prep. I boiled some eggs I can add to my snack options, and cut up some veggies. I know that there are a lot of “events” coming up that will make it hard to earn 12 nutrition points every day, but I am ready to make choices about when it is “worth it” and to eat healthy when I am home. 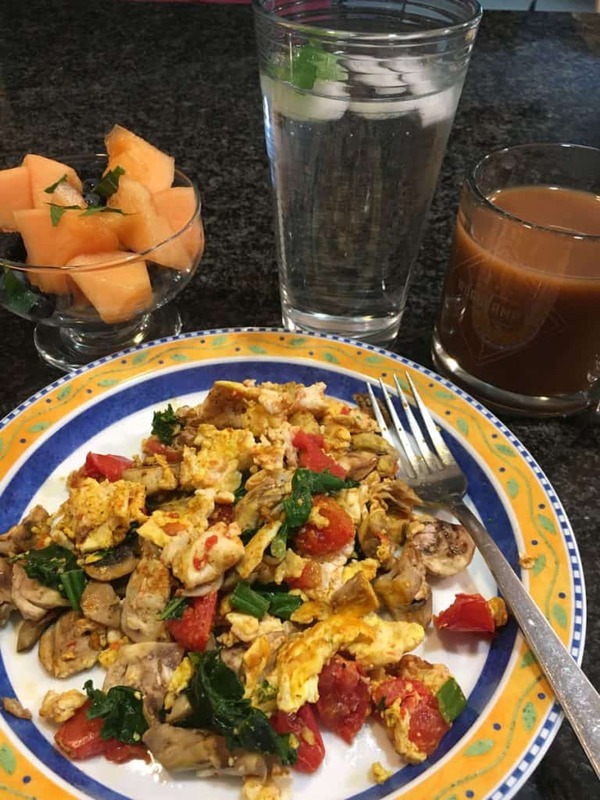 I started the day with a delicious breakfast: Tumeric Eggs with Kale, Mushrooms and Tomatoes.